Franklin County Courthouse is a seven-story, 325,000 square foot facility in downtown Columbus, Ohio. The courthouse includes 32 court sets, with 20 court sets reserved for the common pleas courts. Each court set includes a court room, jury box, judge’s chamber, holding cell, bailiff’s office, and jury deliberation rooms. The facility also features 10 magistrate court rooms, one court room devoted to special proceedings, and another court dedicated to arraignments. 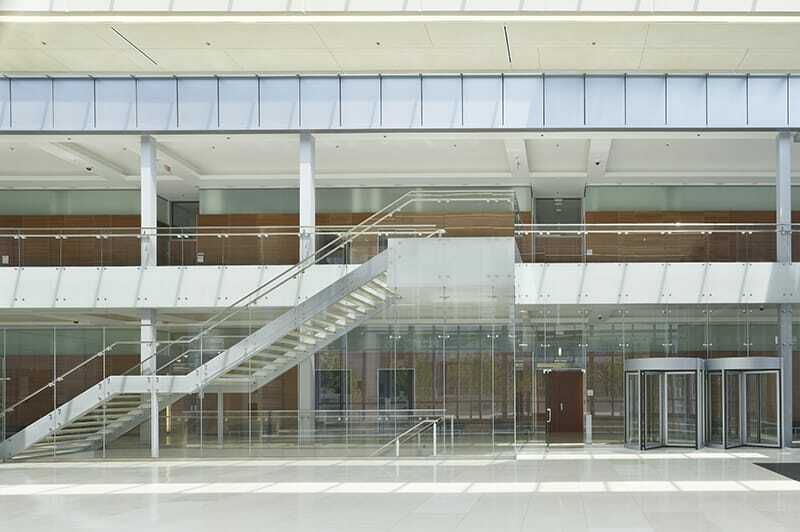 Court clerks will also find space in this ultra-modern courthouse, designed to replace Columbus’ aging and overcrowded 237,000 square foot facility on Mound Street. 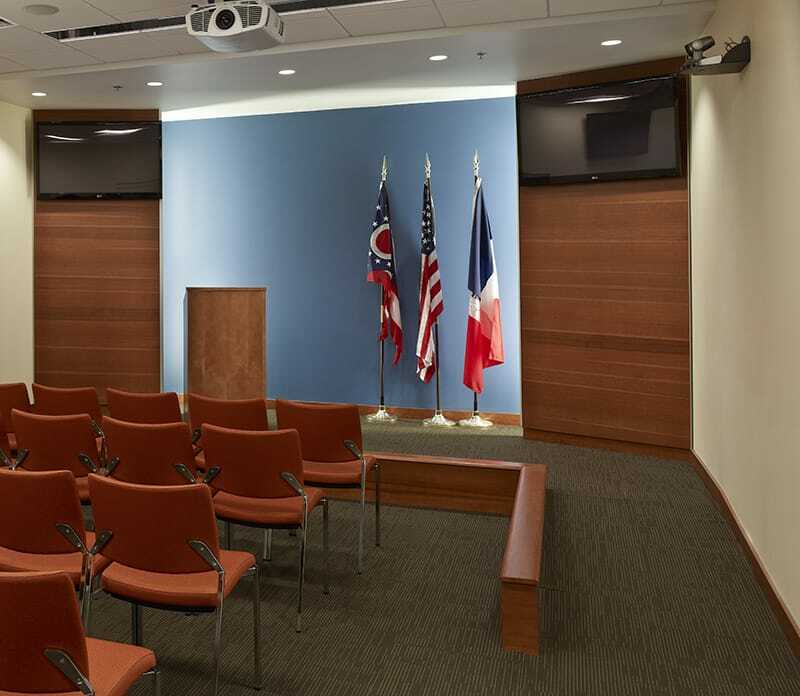 Gilbane provided transition, planning and management services to assist courthouse personnel with the move into the new facility which encompassed a detailed furniture strategy to maximize re-use and carefully specify new purchases. 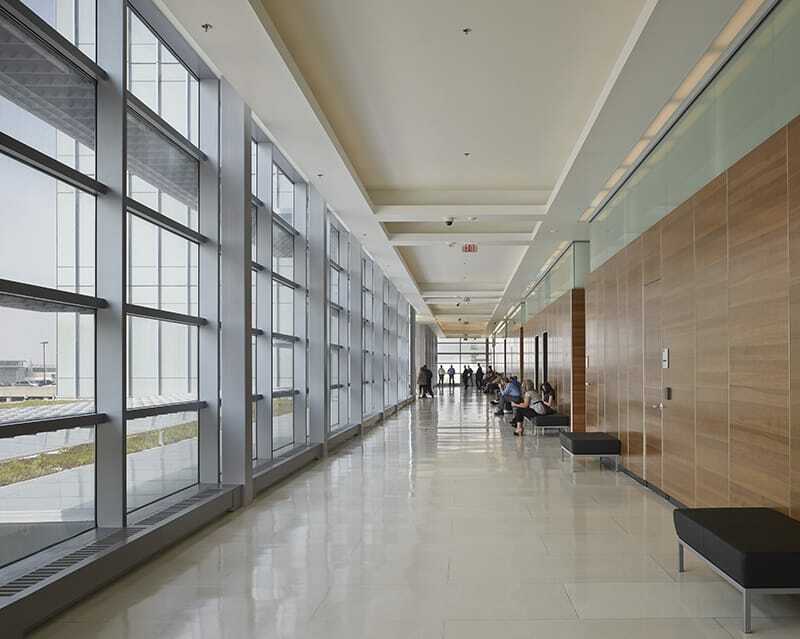 The new Franklin County Courthouse is LEED Gold certified, and is the first “green” courthouse in Ohio. Learn more about sustainable features. The project team adjusted woodwork, seating and support framing to shave more than $500,000 from the project’s bottom line, and modified the precast North Wall design to cut an additional $2.2 million from the facility’s price tag. Using a Dryvit system to supplement the façade’s L-shaped precast panels, the team maintained the building’s aesthetic value while limiting the client’s financial commitment. Sustainable construction strategies will yield annually, 25-percent more energy efficiency and savings of one million gallons of water significantly trimming the county’s operational costs and promoting resource management.